Investment: Starts at $2500 for up to 25 people. Face-off against other teams in a series of crazy fun team building challenges inspired by the TV show Survivor. As your team rotates through challenge stations they have chances to earn points toward the final showdown; a little thing we call The Gauntlet. Along the way they have to embrace concepts like trust, communication, and leadership if they want to win. You’ll be laughing, searching, goofing, and high-fiving all the way through. Does your team have what it takes to be the Iron Team Champions? Each round your team will conquer a new challenge against a new opponent. As you complete challenges you’ll earn points for your team. Our challenges are designed to maximize inclusion and participation. You don’t have to worry about a dominant personality or someone opting out due to injury. Our goal is to provide an opportunity for EVERYONE to contribute to your team win. The top teams will compete in the ultimate measure of team dynamics. In this crazy whole-team relay race, each team member is responsible for a unique challenge. The team that completes the final Gauntlet earns a huge consideration toward the win! The over all IRON TEAM Champion is the one who does well on the challenges AND the Gauntlet. Focuses team participation and concepts like Dynamic Problem Solving, Communication, and Relationship Building. Uses facilitator lead debriefing to draw relevant associations with workplace actions. 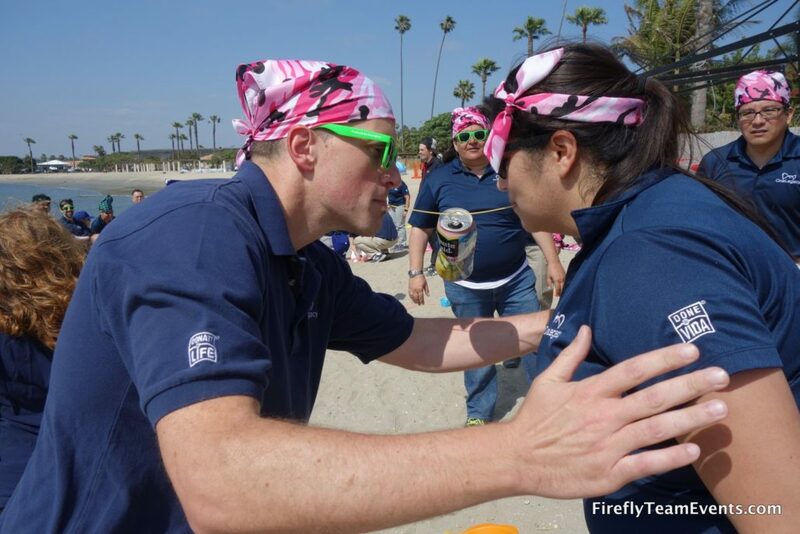 Professional Emcee/Facilitator, Experienced Facilitators, Team Challenges including Final Team Challenge, Group Icebreaker, Large Group Debrief, Huge Energy, Photos of the day, Group Photo, Water, Sunscreen, Team Bandannas, and Shade Canopy.